Sydney United 58 FC have bolstered its player roster for the remainder of the 2014 IGA NPL NSW Mens 1 competition by signing former Sydney FC youngsters Alec Urosevski and Daniel Petkovski as well as recruiting the services of former Australian Youth International Kaz Patafta. Sydney United Sports Centre will be in full voice as the trio will only further strengthen Mark Rudan’s squad. The 2013 inaugural NPL Champions have slowly found their feet in the competition but were dealt with injury woes earlier in the season. 20-year-old striker Alec Urosevski will help assist the club’s fortunes in front of goal. Having played in the IGA NPL NSW Mens 1 competition previously with the Rockdale City Suns, Urosevski will link up with club captain Luka Glavas with Rudan hoping to see the development of a new striking partnership at the Reds. Urosevski spent two seasons with the Sky Blues where he played the majority of his football with the National Youth League squad but made seven appearances for the senior side. Petkovski has also followed Urosevski from Sydney FC. The former AIS and Marconi Stallions player also spent a fair bit of time with the Sky Blues Youth League side but did make several appearances for the first grade squad. The left-footed 20-year-old defender was also a former Australian youth international. Finally, former Benfica as well as Melbourne Victory and Newcastle Jets attacking midfielder Kaz Patafta has also put pen to paper with the Reds. The 25-year-old was touted as the next big thing in Australian football will no doubt add flair and excitement into what already is a talented young squad. All three are expected to make their Sydney United 58 FC debuts against the Marconi Stallions this Saturday at the Sydney United Sports Centre with kick off set for 7:30pm. The Round 8 clash between the Rockdale City Suns v Blacktown City FC match scheduled for this Sunday has seen kick off times changed to accommodate with the Hyundai A-League Grand Final. The Grade 20s will be kicking off at 11am while First Grade at 1pm.  The Suns have stated to Football NSW that at the conclusion of the first grade match, the club will be screening the Hyundai A-League Grand Final match between the Brisbane Roar and Western Sydney Wanderers will be beamed live in the club house. As adjudged by Football NSW journalists, here is Team of the Week for Round Six. A SECOND half blitzkrieg from a ruthless Sutherland Sharks secured a 4-0 victory over Manly United FC on Sunday afternoon at Cromer Park. Following a scoreless first stanza, Nick Littler opened the scoring before two goals from Panny Nikas in three minutes ensured three points for the Sharks. When Nathan Elasi added a fourth, a rout looked possible but the home side managed to stop the rot. It was a far cry from the opening 45′ minutes, where Manly more than held their own. On 21’ minutes Dom Ferguson picked out Scott Balderson whose cushioned header was played into the path of Chris Payne. Payne had time to measure his half volley, but he snatched at the chance, spraying the ball well over the crossbar. Seconds later Brendan Cholakian hit a rocket destined for the top corner, only to see Sharks keeper Nathan Denham brilliantly push it on to the post. With 25’ minutes played Payne should have scored, but hesitated at the final moment and lashed his shot into the side netting. Elasi fired a warning shot from distance on 34’ minutes, showing the away side were up for the challenge. Two minutes after oranges Denham denied Payne from point blank range, and it proved to be pivotal when his team took the lead moments later. Littler directed home a bullet header from a Nikas free kick which Dylan Mitchell had no chance of stopping. Nikas doubled the Sharks advantage on 58′ minutes from six yards and then put the away side out of reach with his team’s third after 60′ minutes. It was his eighth of the year as he currently leads the IGA NPL NSW Mens 1 goalscorers charts. Elasi rubber stamped a clinical period with Sutherland’s fourth after 64’ minutes and at that moment you felt the end score could have been anything. Both teams cleared their benches approaching fulltime with the game lacking any spark. To Manly’s credit, heads never dropped collectively, but they will be disappointed at how quickly the game disappeared from their grasp. Sutherland boss Robbie Stanton was understandably pleased at the final whistle. “Manly asked plenty of questions in the first half, but I felt we did the little things well,’’ he said. His opposite Paul Dee felt the fulltime score was a little flattering. “We had a number of chances early on to go in front, but weren’t good enough to take them,’’ he said. STALEMATE was the name of the game at WIN Jubilee Stadium as St George drew nil-all with Sydney United 58 in wet and heavy conditions. Sydney United 58 dominated possession in the initial stages and looked dangerous early. The best chance of the first half came in the 33′ minute when a mistake at the back by the St George defence saw the dangerous and up and coming star Mark Cindric pick up possession with only the keeper to beat. Cindric pushed his shot just to the right of the posts and the score remained at nil, as it would all afternoon. Nevertheless, United continued to sustain pressure in the St George half and Cindric was presented with another opportunity inside the box as the ball was crossed in from the right flank but again he pushed his shot at goal just to the right. Had his radar been more accurate United could have escaped with this one. As it were, United would have felt hard done by to come off at the break without a lead as they dominated field position and possession but were unable to capitalise on their opportunities. Straight after the interval a lovely ball was played into the box by Anthony Tomelic which found the head of Stepjan Paric but it went just wide again of the goal and the outstretched hand of St George keeper Dion Shaw. Another great opportunity found the way to Luka Glavas after a great cross into the box found Paric in a perfect position to score, but Glavas’ header was just off the mark and another opportunity went begging for United. St George got their best opportunity in the 66′ minute as Bruno Pivato found space and dribbled the ball into the box but the Sydney United defence was strong and denied Pivato a clear shot at goal. St George had a run of possession in the middle of the second half and it led to David Talevski having a crack at goal from just outside the box but it was comfortably handled by Sydney United goalkeeper Diego Barcena. United again looked threatening as the ball was crossed in from the left hand side by Matthew Bilic and it found an open Cindric who headed it at goal but it was well stopped at a comfortable height by Shaw. Although not a bad result, Sydney United 58 FC will be disappointed that they couldn’t capitalise on their opportunities to take the game away from St George after having the better of the opportunities. Sydney United 58’s coach Mark Rudan was disappointed that his side couldn’t make the most of their chances but was happy with the effort the team showed. “It’s a bit frustrating but you can’t fault the players, they (St George) played with a packed defence and made their intentions quite clear, to get bodies behind the ball and play really defensively," Rudan said. Meanwhile Saints coach Manny Spanoudakis was happy with the result. Sydney United 58: 1.Diego Barcena; Anthony Tomelic, 4.Nathan Sherlock, 6.Mitchell Stamatellis (Mitchell Speer 78′), 9.Robert Mileski, 11.Luka Glavas (Ante Tomic 63′), 15.Mark Cindric, 16.Stepjan Paric, 17.Theo Kofinas, 19.Matthew Bilic, 20.Ibrahim Haydar.